Thus you will learn about his career choices, where he learned the trade, and how he continued after that. How successful was Scherrer, and who were his customers? Then we will take a closer look at his Costume Jewelry! Jean-Louis Scherrer (JLS) was born in Paris in February of 1935. Still very young, he decided to become a professional dancer. To reach this goal he studied at the Conservatoire National de Paris. But due to a fall that put him out of action for three months, he began making sketches of fashion designs while recuperating and he decided to change his career. He then studied at the School of the Chambre Syndicale de la Couture Parisienne. His talent must have been obvious because his first job was at the House of Dior in 1956 at only 21 years-old. At that time, Dior was already famous for combining his couture with specially made costume jewelry. Dior’s jewelry was designed in Paris, and all the great paruriers of his era provided him with jewelry for his catwalk shows, but the majority of his jewelry was manufactured by the firm of Henkel and Grosse in Pforzheim, Germany. One year earlier he had signed an exclusive contract with this firm, while accompanied by Roger Jean-Pierre, one of the best-known paruriers of the post-war period. So JLS might have seen and been influenced by these pieces of Dior jewelry from the period that he worked there. JLS started to work at Dior as an assistant designer alongside Yves Saint Laurent (YSL), who at that time, also worked for Christian Dior. In Scherrer’s second year, suddenly, in October 1957, Christian Dior died of a heart attack while on vacation in Italy. YSL became head-designer and Scherrer kept working for the House of Dior for a couple of years more. About the start of his career with Dior, JLS said, “I was there to learn. I drew models, I sewed with my left hand, helped with fittings in Mr. Dior’s studio. It was magnificent, everything was elegant. I was happy to learn the basics of the trade, a remarkable technique; I have used this all my life.” So, you can definitely say that his career took shape at the House of Dior. After these first 3 years with Dior, he went to work for Louis Féraud where, like he said, he learned the commercial side of things. Of course, he continued creating his own style. In 1962, JLS launched his own fashion house on the Rue du Faubourg Saint-Honoré in Paris with the backing of a French millionaire. That was in the same year that YSL and André Courrèges started their own labels. In January of 1963, he presented his first fashion show in a former wine cellar. The show was well received and very promising. In the mid-1960s Scherrer had an agreement with the American department store Bergdorf Goodman to grant them exclusive rights to reproduce and resell his designs in the States. His fashion designs were also very successful in Japan and so later a Japanese group, Seibu, became licensee for his designs. In 1971, he lived his dream by opening a boutique in the Rue Montaigne, close to where he started his career at the house of Dior, and received the appellation “haute couture.” In the basement Scherrer sold haute couture, and on the ground floor Prêt-à-porter or ready to wear. He also diversified with accessories such as eye wear, shoes, ties and, of course, costume jewelry. At the end of that decade he also launched his first perfume. Not only the perfume bottle, but also the brooch that the woman in the advertisement is wearing is in a typically Art Deco style. In September of 1979, JLS stated in the publication L’Officiel de la Couture, “I adore bolts out of the blue, but I like solidity, elegance, Hollywood. My favorite period, the only one that will endure, is the 1930s.” The Art Deco influence you can also see in the Scherrer buckles, necklace and brooches shown here. But he explored many more styles. In his collections he goes from one theme to another, it’s like watching pictures from a world traveler. Not only from the Art Deco period in Chicago and Bauhaus of Germany, but also from China to Hollywood to Japan, to India to Morocco to Russia, to the middle-east to England to Vienna, and to Venice. He got his inspiration from women, but also from his travels to Japan, Morocco and India, and blended all he smelled, saw and felt there with imagination into his own style. This was sometimes fairyland-like, with precious silk, and stones, and baroque pearls, sometimes sophisticated but always with great imagination! It all paid off when in 1980 he won The Golden Thimble (French Haute Couture award) for his “Russian” collection which was an international success. On their costumes and hats the models for this collection wore huge brooches. Scherrer’s daughter Laetitia was his longtime muse and modeled in his shows in the ‘80s and early ‘90s, always closing the show in a wedding dress with matching jewelry. In 1989, the House had 160 employees. So in the 1980s, JLS really was a big and important fashion house, and one of the few who designed and sold both haute couture and ready to wear at that time. Scherrer was also celebrated by other haute couture designers, like Hubert de Givenchy who said about him, “I admired him among fellow couturiers, because what he did was tasteful, sober and well-made. He had a lot of talent.” We can agree with most of that, but his fashion and his jewelry were not always “sober” as the photos accompanying this article prove. Well, maybe only the buckles shown here then? Among his clientele there were women in the Gulf states and Japan, and also famous American and European women. For example, the Kennedy women like John F.’s mother Rose, his sister Pat, and his wife Jackie. Also the author Francoise Sagan, princess Paola of Belgium, madame Giscard d’Estaing, Christina Onassis, Farah Diba Pahlavi, Queen Noor of Jordan, and actresses Sophia Loren, Michèle Morgan and Isabelle Adjani were all JLS customers. Raquel Welch was wearing a Scherrer dress in the movie L’Animal or Stuntwoman. Bianca Jagger wore a Scherrer fur-trimmed dress and beaded veil on the cover of Vogue-France in September of 1974 as well. JLS was, however, not so successful or smart in handling his, let’s say, “internal affairs.” The majority of the ownership of the House of Scherrer frequently changed hands and he always had problems with his partners. What he didn’t understand was that the Seibu Group, his former Japanese friends who bought the majority share of the Scherrer firm two years earlier, only wanted the label, the brand name, not the man behind the name. Well, the House of Scherrer still remained successful for several years, but in 2007 stopped their haute couture line. Nowadays, the House of Scherrer is still in business, but it is not what it used to be. As previously mentioned, at the end of the ‘70s making accessories became more important for the House of Scherrer and in 1979 a very talented young girl from Slovakia who tried her luck in Paris knocked at his door. Her name was Stella Wajova. After having seen her jewelry sketches, JLS immediately hired her and two years later she became head of the department of accessories at only 23 years-old. She was to stay there until 1999. She found her inspiration in art history from the books she bought at the Musee des Arts Decoratifs and elsewhere. 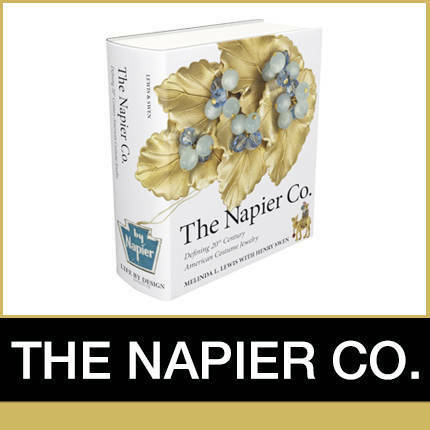 The first four years the only jewelry supplier for Scherrer was Maison Gripoix. This parure-house was, and is, famous for its glass beads and stones imitating rubies, emeralds, jade, quartz and lapis lazuli as well as their techniques of glass enameling and poured glass. They had already worked for many other haute couture houses like Lanvin, Chanel, and Dior and now they also manufactured the designs made by or in co-operation with the House of Scherrer. Later, next to Gripoix, others made or designed jewelry for JLS like Robert Goossens, Gérard Trémolet, and Jeanne Péral. Wajova had a partnership with the handicraft industry in India where all her jewelry was made by hand. In 1978, she designed a Safari collection for JLS with pendants made with amber, ivory, ebony, tiger teeth, and feathers, found in India. She also got her exotic supplies from Thailand and she bought antiques which she dismantled to make into new creations. For example, in 1985 she made pins and earrings for JLS using 19th century engraved mother of pearl pieces. Dismantled antiques where also used in other collections, like when Scherrer launched his Indian Summer collection in 1990. The lion necklace shown here was part of this unique collection. Because of that, a few years earlier, in 2009 he was made an officer of the Legion of Honor, France’s highest civilian decoration. So, when you come across a beautiful vintage piece of costume jewelry by Jean-Louis Scherrer, please remember this designer for the important haute couturier that he once was. The jewelry in these photos have all been worn on the runways by the models at the shows of Scherrer in Paris from 1980s through the early ‘90s, and are all from the collection of De Sluis, Art Deco en zo. Some have a Scherrer mark and were probably made in small quantities to be sold in the shops where they also sold Scherrer fashions. Others are not marked and are exclusively runway-pieces acquired from Scherrer’s estate. Karin Zwaneveld originally presented the information included in this article to attendees at the Costume Jewelry Collectors Int’l convention in Chicago in 2014 (CJCI Convention 2014). She resides in the Netherlands, and is the owner of De Sluis, Art Deco en zo. She may be reached at info@ art-deco.eu.